For all the beautiful people who were born with curly hair, these curled hair looks are dedicated to you. It's not easy managing a frizzy mane. Sometimes, you might spend hours using hair masks and oil treatments as you desperately try to get those fierce curls to sit in place. Whether you've given up on styling your hair straight or if you want to embrace the hair you were born with, these looks will inspire you to let your inner lion out. 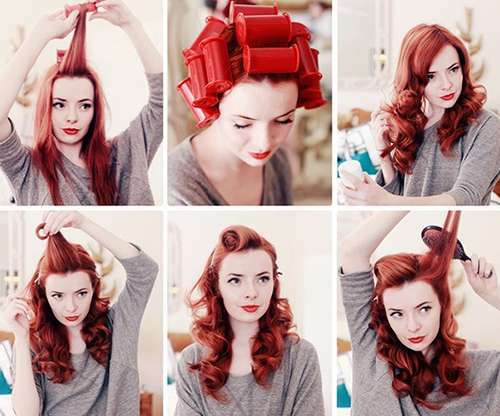 This collection of curled hair looks has everything from tutorials to fashion photography. The tutorials will help you get the style you want and the editorials will put you into a new perspective of how beautiful curly hair can be. Don't let your curls bring you down. Take control of that beautiful cloud on your head and let these curled hair looks get you noticed.